TX: Talk about missed opportunities. It has been 10 years since Lexus unveiled the HPX seven-seat car-based crossover concept at the New York auto show — and we’ll wait at least three more years to see a production version on public roads when it arrives in late 2016 or early 2017. Toyota has applied for a trademark for the TX nameplate. Toyota is secretive about whether the TX would use the RX-Avalon front-wheel-drive architecture for packaging benefits or use the IS/GS rear-wheel-drive architecture for a sportier feel. Smith says one of the brand’s two large body-on-frame SUVs, the GX and LX, could be converted to unibody platforms as the auto maker works to meet looming government-imposed fuel-economy regulations. “In the future, if we could do a 3-row unibody (utility vehicle), I think that’s what consumers would want to see,” he says. Swapping out the GX for a car-based crossover is a sensible move — a larger RX-style vehicle would have a larger potential market, and there’s no need for two body-on-frame SUVs in the Lexus lineup any more. 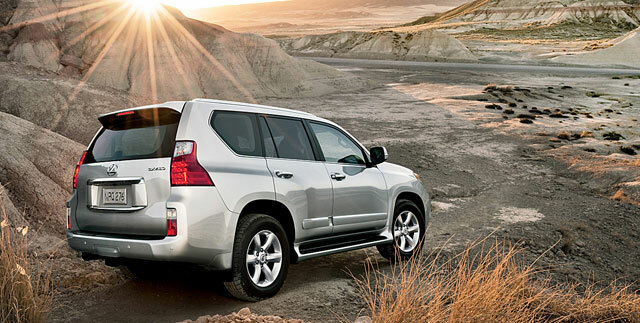 What do you think — should Lexus be canceling the GX and replacing it with a crossover?